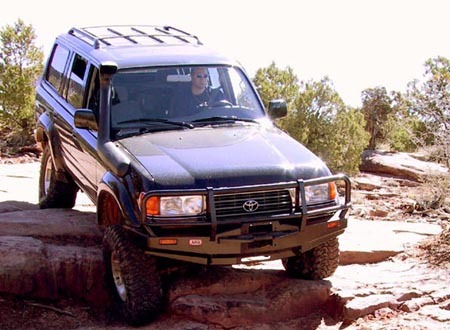 Available for 40, 60, 80 and 100 Series Land Cruisers as well as for many other vehicles, most of which are available through Cruiser Outfitters. Some of our most popular four wheel drive vehicles have their air cleaner pick up point relatively low, and, frankly, are extremely susceptible to sucking in much more than just air. To protect the motor and supply clean air it is a must to lift the air ducting higher. The Safari range is the largest in body size of all aftermarket snorkels available, and this ensures air supply in excess of engine requirements for both gasoline & diesel engines. In particular, turbo charged diesel vehicles will benefit from the larger Safari body size, while all models will enjoy better performance and slightly improved fuel efficiency. 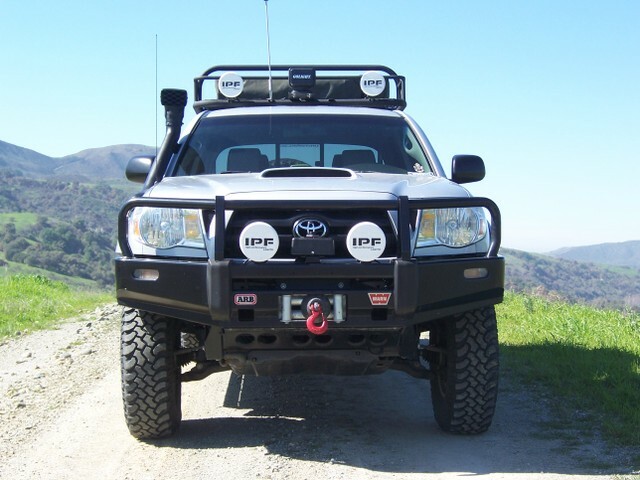 Each snorkel body & components are custom designed for each vehicle make. UV stable cross linked polyethylene body for the ultimate in strength. High flow air ducting and body. Each component is designed for maximum water & dust sealing. Quality stainless steel and plated hardware. Snorkel Installation Notes: Some models (FJ40 & FJ60/62) require customization and fabrication to the air cleaner housing. These snorkels were originally intended for non-US applications which were most often right hand drive and diesel applications. In these cases the customer will need to find the appropriate method for hose connection under the hood. Please call for more information.